Nokia 3310 release date and specifications: What is new? Updated phone is visually very similar to his legendary predecessor, but has a rounded shape and a color display. The Finnish company HMD Global, which owns the license for the production of mobile phones under the Nokia brand, presented on Sunday, 26 February, an updated version of the legendary phone Nokia 3310. 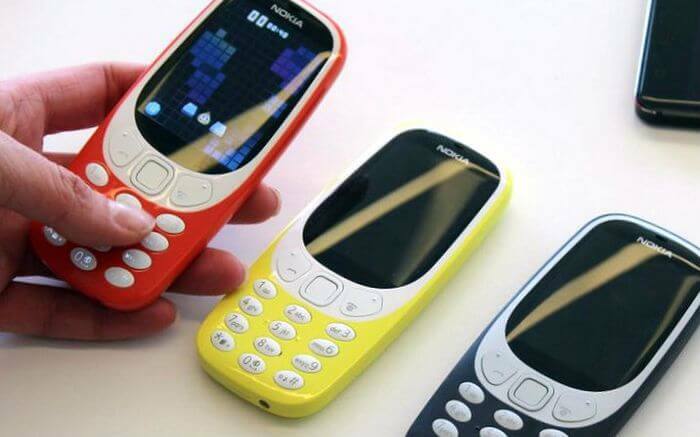 The design of the updated 3310 model, which was presented one day before the opening of the largest exhibition of mobile technologies Mobile World Congress in Barcelona generally, follows the shape of its predecessor. It is similar in size and shape of the button, but the phone itself, the body has got rounded forms and gets more for color display. Restart the Nokia 3310 will have a 2.4-inch color screen, 2-megapixel camera, radio, MP3-player, a memory card slot. There is a version with support for two SIM cards. Do not forget also the main feature of the new Nokia 3310 is an updated version of the game “Snake”. Although this game will also be available on Facebook messenger, which is necessary to enter the chat, click on the button of the game section and select their «Snake». Nokia 3310 is not a smartphone, and provide their owners a basic internet connection, offering an updated version of the famous game Snake, and has a typical, well-known to all fans of Nokia branded ringtones. According to preliminary information, the cost of the new Nokia 3310 will be 49 euros. Nokia had released its Nokia 3310 model in 2000. Prior to the cessation of production of this model in 2005, all have been sold more than 120 million copies worldwide. In addition, HMD Global has introduced three new models of smartphones running on the Android operating system, Nokia 3, Nokia and Nokia 5, and 6. It represents different price segments. The company expects by 2019 to take up to five percent of the global smartphone market.